do you service any word press sites? i need help. Unless I hear otherwise, we do not have a maintenance service but you can feel free to send us the issue you are running into using our contact form. i moved my local wordpress website to server.i changed composts table pointing to server ip and replaced all local host.changed config file and comoptions table also. But menu links not working in server site.How can i fix this? You may want to try recreating your menu to update the links. Thanks so much !! You have saved my day. Didnt know that Saving the permanent links would fix this issue. This post literally saved my life. I just had 404 error to all my posts. All I had to do was save changes in permalinks and it worked. Thank you so much for the information, unfortunately I am still having issues. When I try to click into +Add New Page it takes me to a 404, if I click +Add New Plugin it also takes me to a 404, if I try to add anything new it will take me to a 404, my website is still in the creation process, it is not yet published. I tried to use filezilla, but after multiple attempts doesn’t connect to my file. Do you know what I should do, I would greatly appreciate your answer! ok so am not sure if that’s the exact same issue am having. 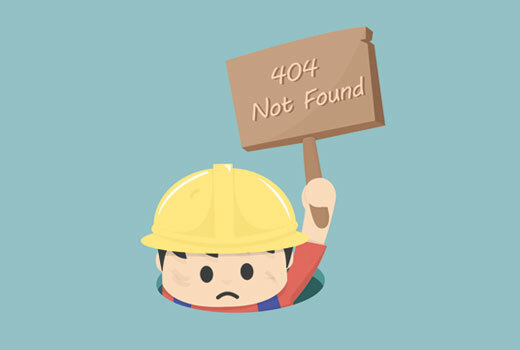 generally, when I access my website I don’t get any 404 errors yet on my SEO audit tool it is shown that my WordPress posts preview page is coming back with a 404 error, can anyone help me get this fixed ?? Today enabled minify script/styles in swift performance lite and after that except home page all other links showed 404 error. searched and found this post and on checking found .htaccess empty, added the basic code from this post and 404 error gone. All links are working fine Thanks. If none of those steps work, if you reach out to your hosting provider they may have an error log that can point to the reason for the 404 error. you just save me a lot of time. This is a great post. I had a problem with the permalinks when I moved my WP site from a server to another. Your post saved me a lot of time searching for the reason. I have a free classified website in word press. advertisers are posting ads in my website but few of them not meet with our terms and conditions so we delete those ads when i delete ads i get a message by word press. My question is how to fix this problem without buying yoast seo premium? But I still receive 404 error while logging in. It does not allow me to open my account on wordpress as error arrives immediately after clicking on the log in button. How to solve this problem so that I can assess wp to complete my website? Plz give me directions so that I can proceed further as soon as possible. These steps seem so simple. But I tried everything. Changing the rights to 666 and 664. Deleting the .htaccess file. Copying and pasting the code didn’t help either. I tried literally everything. I’m really clueless now. Can you please help me. Hi. I liked the simplicity in the Tutorial. Sadly, it didn’t work for me! The error goes away only If I change my permalink to ‘plain’. If I change back permalink to ‘post name’, then it shows the error! I’d be grateful If you’d help me out here. Thanks anyway for the post. If recreating the htaccess method is not working then you would want to reach out to your hosting provider to see if the mod_rewrite rule is enabled on their server. My problem is a little different i do have access to my wp-admin, But i am unable to access to any page within wordpress, including dashboard or settings and re-directed to 404-error page. I have disabled cloudfare, but the problem persists. to see if it is due to a specific plugin or theme. thank you for simple and great idea. Thanks for this amazing solution. I have a membership site and when i looked up to my mail this morning i have a lot of users that wrote that the cant access to the page because is showing the 404 error message and in fact this was happening, i didint know what to do, i thought it was some plugin or some function i put the night before…. Then i found this post, i saved again the permalinks as shown in this post and WORKED!!! please can you tell us, why happened this problem, so we can avoid this? Sadly, it is difficult to say the root cause. It could have been an update from the host’s end or something on your site could have updated your permalinks incorrectly as some possibilities. I checked .htaccess and permalink settings too but its still not working. In pages, I can see only some pages and others show errors. So the page links are not working and after login, the homepage is automatically redirected to wp-admin and dashboard shows nothing. Thank you for this tutorial, solved my problem. i had the same problem geting 404 error in post.php …it was frustrating but the only thing worked form me was change the the theme..and change it again…it worked for me………..
i had the same issue. tried the options above but they did not work until I also changed the theme to another, then reverted back to the normal theme. Wheew! This DID work for me. All I had to do was hit the Save button. So thankful for the article. I just updated to WP 5.0.2 yesterday from 4.9.8. Could that have been the cause? It seems to run fine yesterday. As with any technology, there are many possible reasons. It could have been the update, a hiccup with the host, or another unknown reason. You would want to follow the steps in this article and should none of them work, reach out to your hosting provider and they should be able to assist. Thanks thanks thanks. You are the man! Thank you so much. It worked. My site is fully back online. Thank you. Thank you so much. My links are back! I have tried all the suggestions from the article and some from comments. Then I contacted my hosting company and it turned up that their ModSecurity module on the server blocked POST requests with “+src=” string in it. It could be different rule for you but if everything else fails try asking your hosting company to check if any request was blocked at the server level. thank you so much you are amazing, i love you so much, you are great, i searched a lot of pages and no one knows and teaches like you. you are awesome. this is happening to our site almost monthly and the only way to fix is to reset the permalinks in wp dashboard. debug log file is clean so i dont have any clue where to start fixing. any one having the same problem? I have the same problem! but I do not know where the problem comes from? does anyone know how to solve it? My world was torn apart when I received this 404 error. Thank you WPBeginner for this helpful guide. Hello! Thank You for interesting article! I have a little different problem. I want to redirect my 404 page to another, accurate and beautiful page. And normaly use plugins or template possibilities for that. But one of my sites, where there is the same template that I usually work with, the 404 page does not exist at all. Whatever I do. I get error telling that The requested document was not found on this server. It works, thanks THAAANKS a lot!! Thanks for such an easy solution. This article is actually very very helpful. I have tried the methods above but its not working. though my problem is kindoff different. Sometimes, When I try to update my previous post or make a new post.., it redirects me to “404 error. Please and please help me. Please try these steps. Go to Settings > Writing page and under the update services section delete any URLs in the box (Normally you will only see one URL rpc.pingomatic.com). 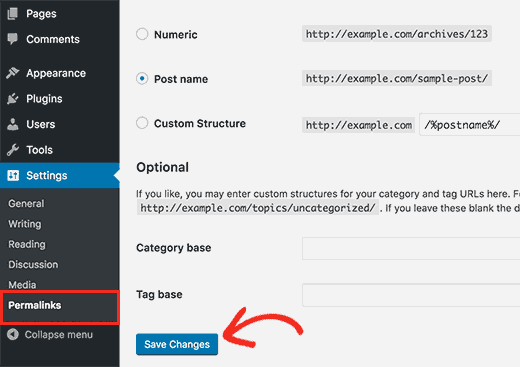 Now click on the Save changes button to store your settings. Try editing a post to see if this resolved your issue. If it didn’t then, please try steps in our WordPress troubleshooting guide. This article saved me so much time….I was ready to scrap the whole thing and re-do the blog from the start because I thought I had made an irreversible mistake. Two clicks everything is fixed – THANK YOU! Sorry, I didn’t mean to sound like Dr. Suess. Enjoy your day! Hi! This article was helpful but when i put my site on google search bar ex, ac-universal.com/wp-admin an error 404 found how can i enter into my word press. Have you tried the .htaccess method described in the article? Just wanted to say thanks. Simple and effective fix for a problem that had been perplexing me for a few days!